Wedding photography can be quite a lucrative business idea, but even to an amateur, knowing how to take wedding photos that will become someone’s most prized memories can be a handy lifelong skill, and, if done well, will make you every married couple’s favourite person! As a photographer, there will never be more pressure to get the perfect shots because, for most people, this day will never happen for them again! 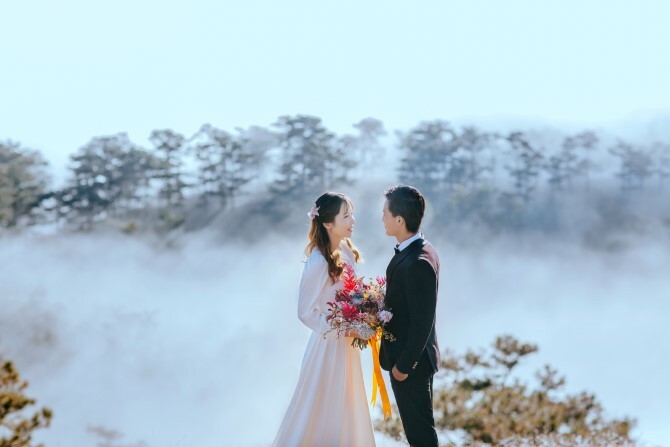 Shooting wedding photos also requires you to have to know and utilise a mixture of different shooting styles; using a mixture of portrait photography, group shots, lifestyle and also wider landscape shots if you’re in a beautifully picturesque area. To do this you’ll need a variety of equipment, including different lenses and camera accessories. So, what’s the right way to do wedding photography? In this post, we’ll give you the tips you need to become a wedding photographer extraordinaire. We’ll also show you some of the times it didn’t work out so well for a few unlucky photographers, so you can learn to avoid common wedding photography slip ups. Firstly, you need to think about your wedding photography team. If you’re a professional and are doing it alone, good luck to you! But if you’re just starting out, unless it’s a very small wedding, you’re going to need some help to ensure everything is captured on the day. 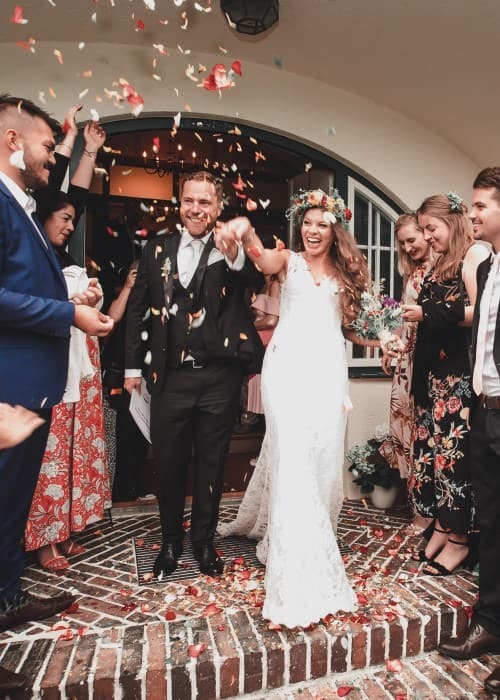 If you’re shooting the wedding as a favour or to cut costs, don’t shy away from recommending that you have a team with you to capture this once-in-a-lifetime day. You don’t want to leave anything to chance! At the very least, an assistant can really help relieve you in those all-important wedding photo moments where there’s a lot to cover; the ceremony, then the wedding party and those times when guests are moving around a lot and it’s hard to get a clear shot of anything. 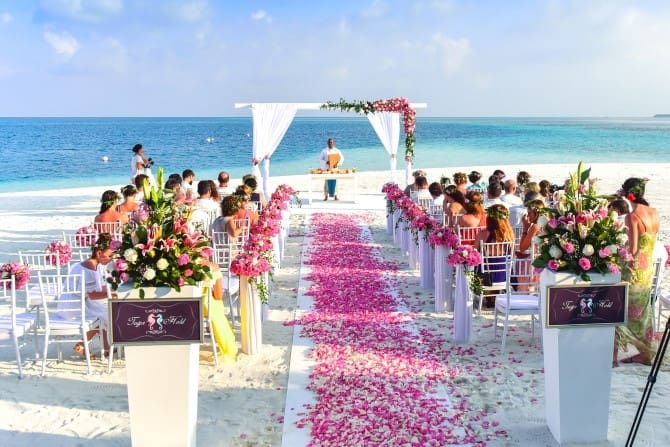 The size of the wedding; anything under 50 people will require a smaller team, whereas anything over 150 people or spread out across a large location is more difficult to cover. 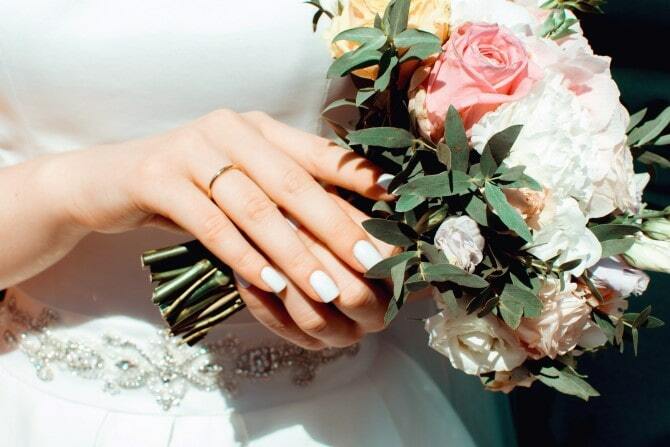 The pace of the wedding; is the wedding stretched out over a whole day with a long ceremony and a 3-course dinner, or does it have a packed, fast paced schedule over just a few hours? What to shoot. Do your bride and groom want you to cover the entire wedding preparations and an after-party, if there is one? If so, your day could go from 6 am to 2 am, or later. Think about what you will actually be able to do in this time, especially if you’re alone. At some weddings, the bride might want a photographer to shadow her for most of the day and night. In these cases, you’ll need an adequately sized team. Alternatively, a bride and groom might want more unique wedding photos, so ensure there is time to capture these. Consider your skills, and the skills of anyone else who is assisting you or on your team. 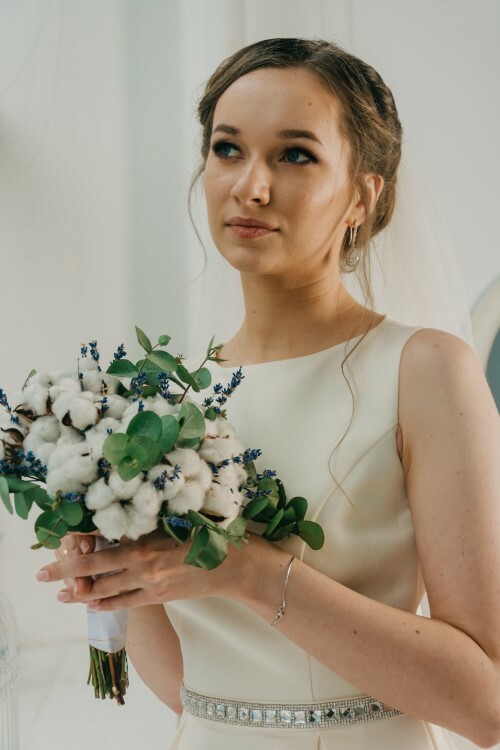 If your skills lie in portrait photography, you could assist with close ups and photos of guests, whereas others on your team could focus more on the event itself, the smaller details, or the dance floor. 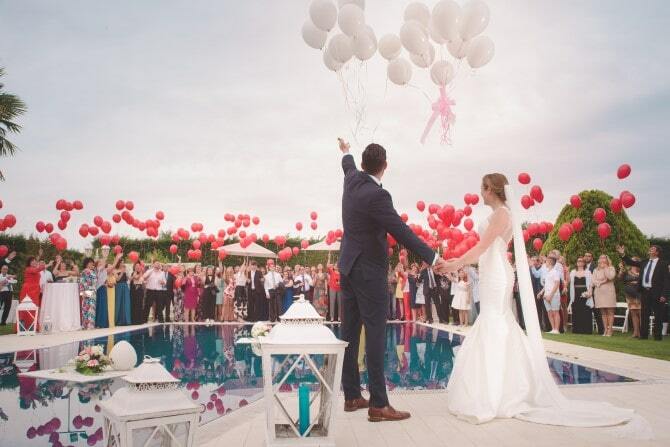 Have a thorough consultation with the bride and groom well before the wedding date. Set clear expectations with them on what is achievable with the team and budget, if there is either. Make sure they know what deliverables they will receive; do they want hundreds of photos, or just 50 good ones? Make it clear when they will receive the photos and warn that it may take time to sort and edit them all. With wedding photos, the more, the better, as you won’t be able to do a re-shoot! Put together a shot list before the wedding so you can establish what the “must-have” wedding photos are versus the “nice-to-haves”. What you consider important may not be what the bride thinks is important. Find out the exact agenda for the day so you won’t miss any key wedding photo moments, and scope the venue before the day. 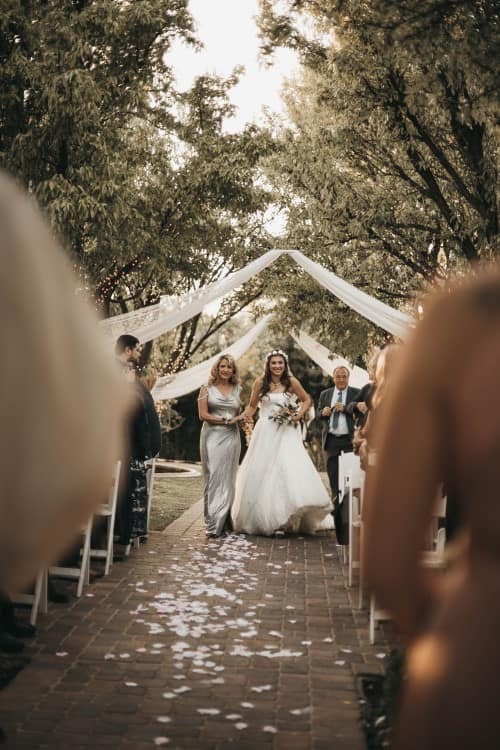 If it’s a large venue or has multiple entryways and exits, you’ll need to know exactly where guests and the bridal party are entering and exiting. You’ll also need to know the wet weather option if there is one, and briefly scope that venue, too. It goes without saying that all your batteries should be charged for the event, and you should have all the necessary equipment and multiple memory cards. The last thing you want is to run out of memory space on the day. Don’t use photography equipment for the first time at a wedding. Ensure you have cameras or lenses for both portrait photography and wider shots. Tip: Back up all your memory cards as soon as possible during or after the event! You’ll never be forgiven if you lose a memory card or key shots! Sometimes with wedding photos, the most meaningful moments are the quiet ones. The bride getting ready with her closest friends, the groom contemplative before the ceremony revising his vows, the wedding dress hanging up, morning light streaming in from outside, a close up of the rings in a ring box. These small moments can set the tone for the wedding and offer a more personal view than the chaos and excitement that comes later in the day. There are many emotions that the bride and groom will experience on their wedding day, and you should be there to capture them all. 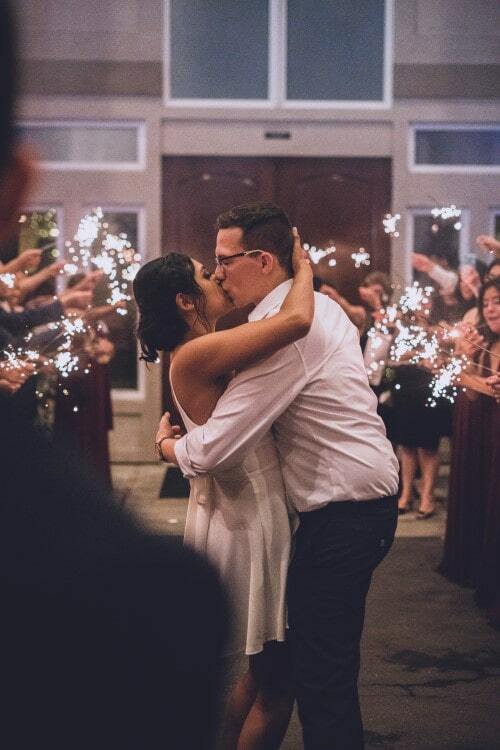 Get up close and personal during the vows and the first kiss. You want to be able to see the raw emotion and love shown by the happy couple. Be sure to capture details of the bride’s dress at some point, as well as the first dance. When shooting, at all times consider the backgrounds of the shots. When scoping, you should have had sufficient time to see which areas will be best for wedding photos. Think about what will look good where; a cluttered background can make your shot unnecessarily busy, or can add to the shot; it all depends on the subject and the lighting. Tip: Don’t disturb special moments and try not to be intrusive at any point throughout the event. It’s easy to make the mistake of asking guests to shift positions, but try not to. Instead, move positions yourself to get the best angle. Ensure you have a soft shutter so there is no loud “clicking” noise during the ceremony! To get the best results, shoot in RAW, so you can capture all the detail you can. This means that you’ll have more detail to play with when editing and you can do more with the unedited image. Do note that RAW images take up much more space, so you’ll need to account for this when bringing memory cards. Keep experimenting throughout the night with various perspectives and angles. 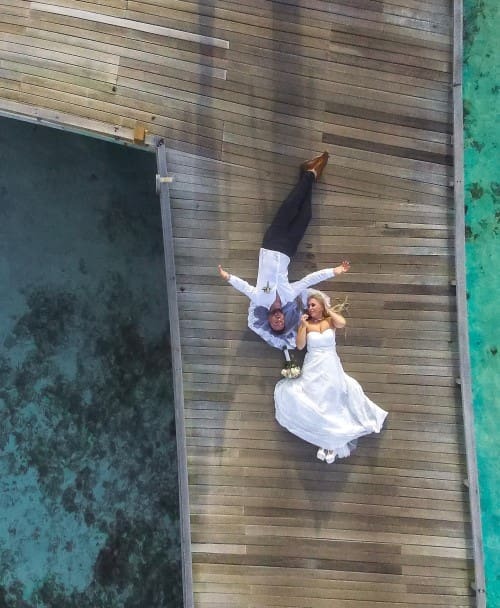 Consider if there Is there a high-up vantage point from which you can take photos; these interesting angles can produce some of the best wedding photos. Use a continuous shooting mode in busier periods, to save precious time. Just don’t leave it on all the time otherwise you’ll run out of memory cards faster than you can say; “I do!”. Black and white images can work wonders at weddings, but these can be created afterwards when editing. Tip: Always shoot more frames than you need. Better to have a wider selection of shots to choose from than less. The editing process for wedding photography can take hours, or even days, depending on how many wedding photos there are. First, you’ll need to upload and backup all the wedding photos, of which there are likely thousands! Then you’ll need to cull all the photos which are duplicates or are unusable. From there, depending on what the bride and groom want, select 100-200 of the best photos and take the time to edit them well. If you’re using Lightroom, you can simply create pre-set editing settings and apply these same settings to other photos in a similar scene, saving you huge amounts of time. We’ve talked about how to do wedding photography right, but what happens when it goes wrong? 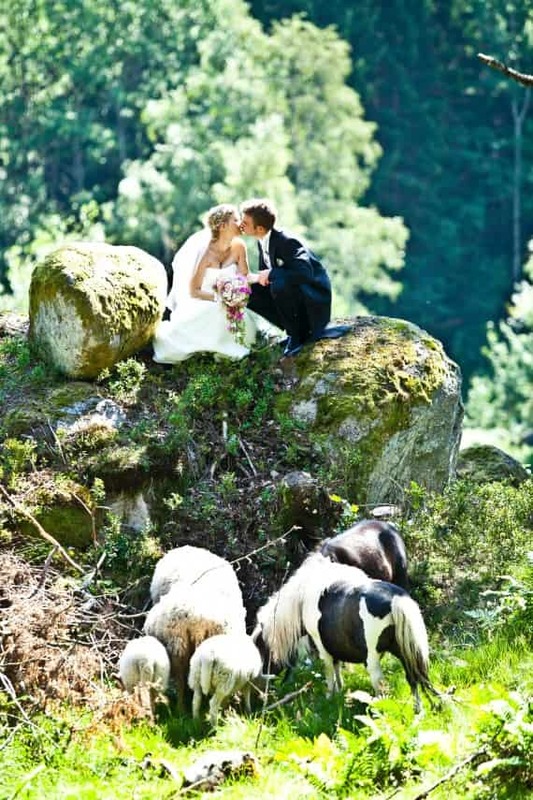 These horrible wedding photos will inspire you to learn more about how to do it right! It’s difficult to understand what the meaning of this photo was supposed to be. Are the bride and groom farmers? Are they off to join a band of woodland nymphs? Maybe. Obviously, you want to cater to your bride and groom’s needs, but don’t go beyond what you’re comfortable with as a photographer. If this means bad photoshopping, say no upfront, especially if you feel it compromises your skill or reputation as a photographer. After all, you don’t want the wedding photos you take to end up on a list like this! This picture is completely nonsensical. 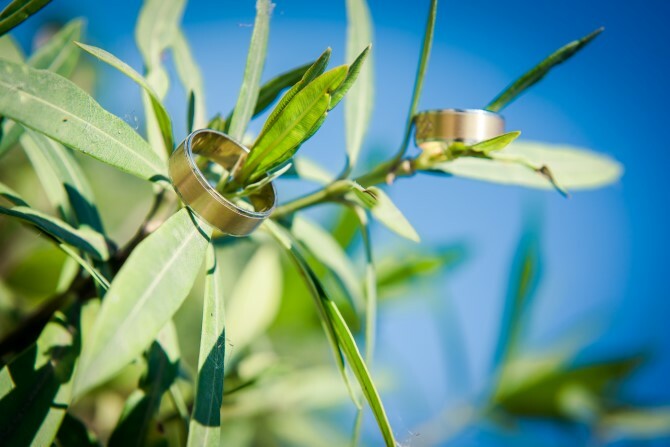 Unless an object; (in this case, a plant), has a specific meaning for the lucky couple, don’t include it in the shot! Everything in your wedding photos, including props, should all be meaningful and should all have a unique purpose. This photo isn’t terrible, but it isn’t great either, and it would look much better without the people in the foreground. When you’re taking photos, be careful to not get blocked by others. Move around as much as you can to avoid wedding photos like this! The procession down at the end of the ceremony like this is an important moment not to miss. This is a good example of over-editing. Apart from taking much too long to edit each photo in this way, the overall effect is underwhelming to say the least. 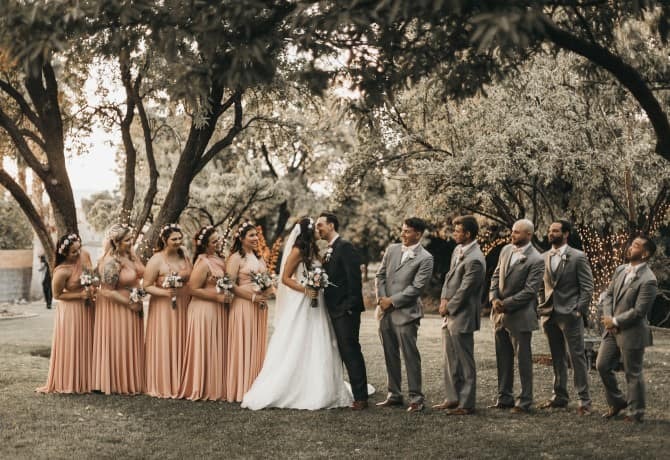 NO amount of editing can fix a bad photo, and unless you are really short on decent photos, which is unlikely, don’t attempt to do this much editing unless it’s at the specific request of the bride and groom. Think about the story each image is trying to convey. For example, in this image, what emotions are conveyed? It’s certainly not joy; rather, it is apprehension and mystery, or even fear. Not ideal for the start of a happy marriage! 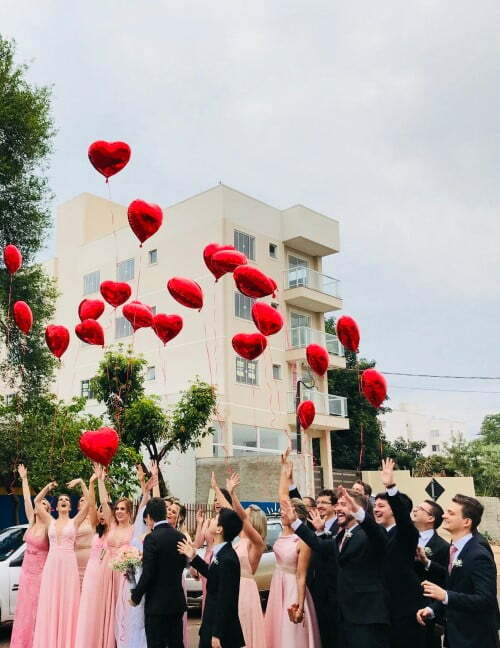 To avoid these wedding photo fails, develop and follow a clear brief, be prepared and get creative on the day, without feeling the need to do any crazy photoshopping afterward. And try to have fun! It is a wedding after all, and, while you are there to do a job, you’re also there celebrating the union of two people in love. To get inspired, look at wedding photos prior to the day to get inspiration. Keep a note of any key shots. You really only need about 10 “money shots” to keep the bride and groom truly happy. 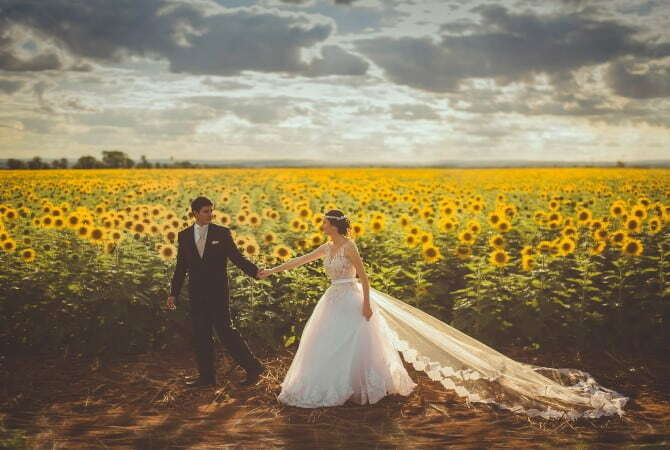 Once you have the wedding photos of your dreams, turn these into beautiful canvas prints or photo gifts that will last a lifetime with Canvas Factory. Photo books can be a great way of summing up a number of wedding photos so the married couple can show off their wedding day. We’ve also got photo blocks and photo cushions; perfect for decorating a married couple’s home when they return from their honeymoon. Bring your memories to life by checking out our range here to find out more.